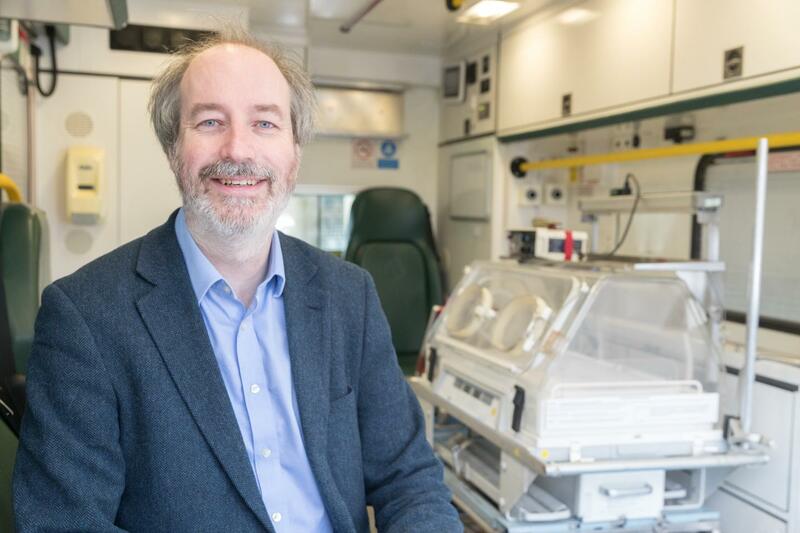 The multidisciplinary team led by Professor Donal McNally, Professor of Bioengineering and Head of the Bioengineering Research Group, along with researchers from the Centre for Healthcare Technologies, has launched a three-year project to develop the Next Generation Neonatal Transport System – the first system of its kind in the world. A detailed assessment, the first of its kind to date, was carried out by Dr Don Sharkey, Clinical Associate Professor of Neonatal Medicine, Faculty of Medicine and Health Sciences, which highlighted the effects of vibration on newborn babies when they are transported. Dr Sharkey said, 'Neonatal transport can be potentially hazardous for extremely premature infants or babies requiring specialist care or surgery. While in transit, the infant is exposed to harmful stimuli including mechanical shock and vibration, which could be a factor in the associated additional brain injury observed in these babies. Professor McNally said, 'This research provides a well-grounded baseline assessment of newborns' exposure to head and torso vibrations, and linear accelerations. More importantly, the study also addresses key issues including if the transport could be made safer, for example by redesigning the incubator or its components, or by exerting control over the route and speed of the ambulance's journey. On Wednesday 11th April, Professor McNally will deliver his Inaugural Lecture, Squishy Biomechanics: Spines, Injuries and Infants at the University of Nottingham's Keighton Auditorium on University Park Campus. The hour-long lecture will feature the biomechanics of some of the squishier parts of the human body and shed light on the fascinating form and function behind continence and spinal motion, and explain the effects of disease and injury. Professor McNally will also examine the mechanisms of injuries to the spine, aorta and brain that result from trauma such as car crashes and consider how severe brain injuries, linked to ambulance transport, might be minimised in extremely low birthweight babies.